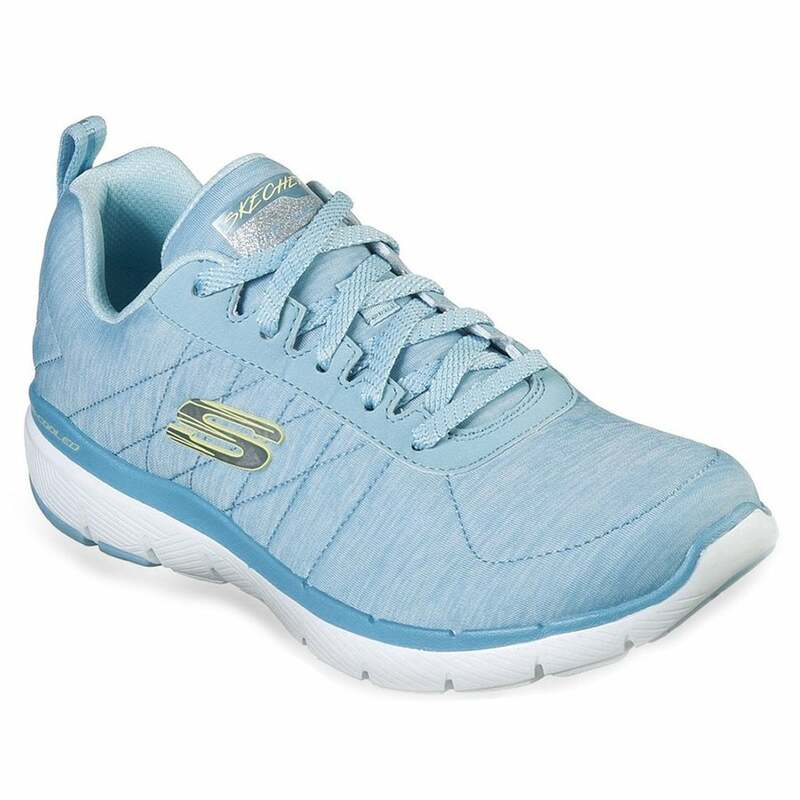 Check out these Skechers Flex Appeal Insiders 3.0 Insiders lace-up trainers from Skechers. Kick your workouts up a notch wearing the Skechers Flex Appeal 3.0 Insiders trainers with a soft, heathered-finish jersey knit upper. The Skechers Flex Appeal is a lace-up athletic sporty fashion trainer with stitching accents and an Air Cooled Memory Foam insole. These superbly comfortable trainer shoes feature a textile fabric upper with stitching. Finished with a memory foam insole which moulds itself to the shape of your foot and compresses slowly under pressure for a unique and luxuriously cushioned feel.